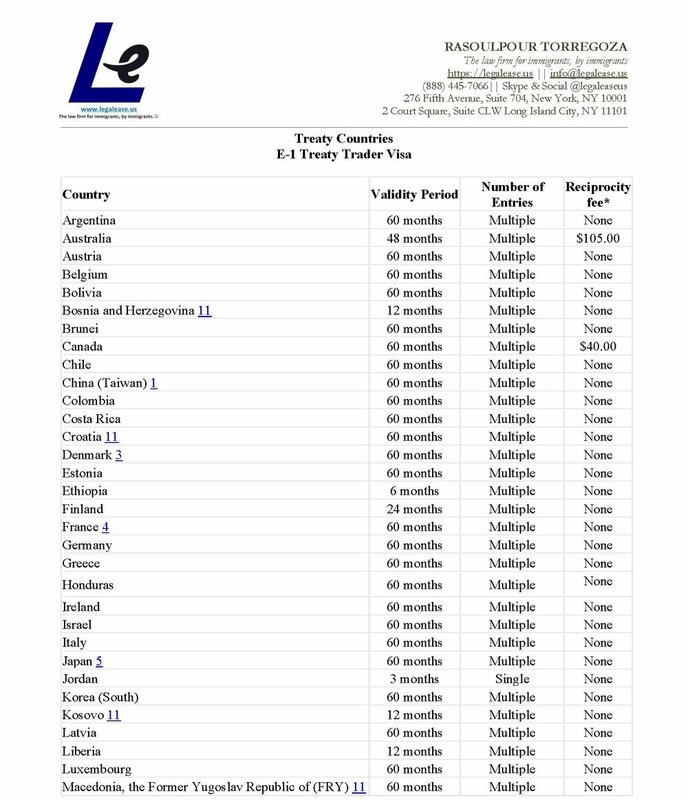 An E-1 Treaty Trader Visa is for a citizen of certain countries who is coming to the United States to the United States to solely to engage in international trade on his or her own behalf. What are the E-1 Treaty Trader Countries? How long are E-1 Visas issued for? If you have questions about the E-1 visa application and process, please contact us. We are here to help. Stay in the know - follow us on Instagram, Twitter, Facebook, LinkedIn or Tumblr for up-to-date immigration news. Older PostWhat is the E-1 Treaty Trader Visa?